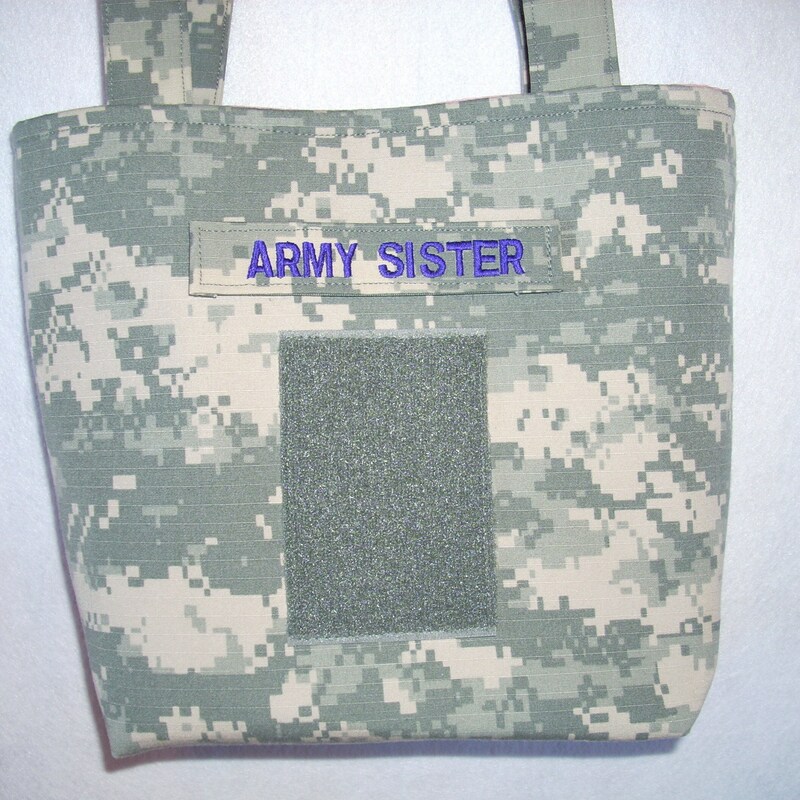 Army Mom Army wife handbag measures 10" across, 8 1/2" high, and 4" deep. 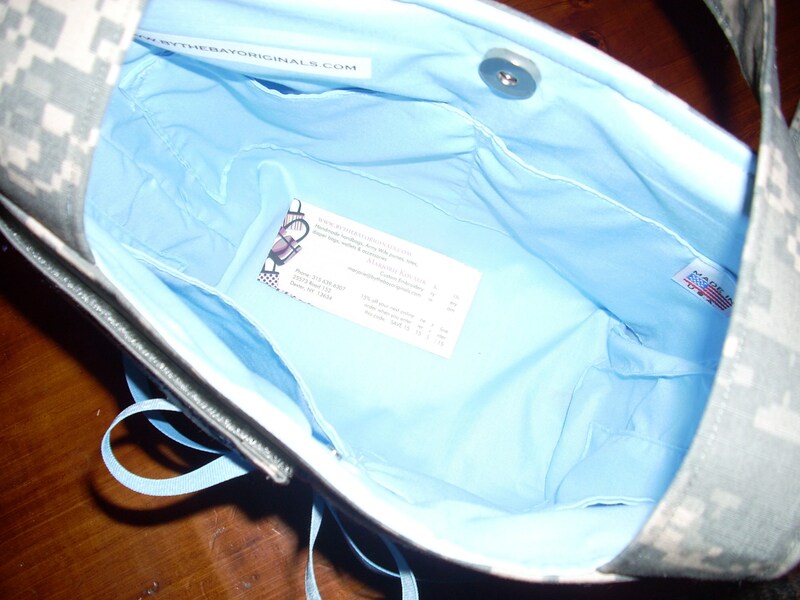 Firm interfacing allows handbag to stand alone. 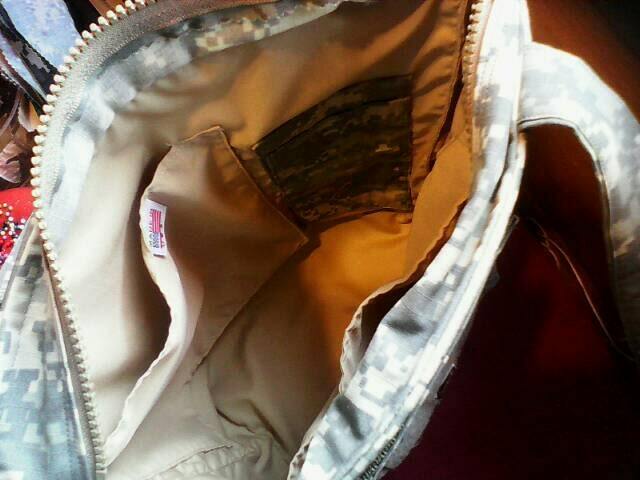 Interior has your choice of colored lining with 2 pockets. 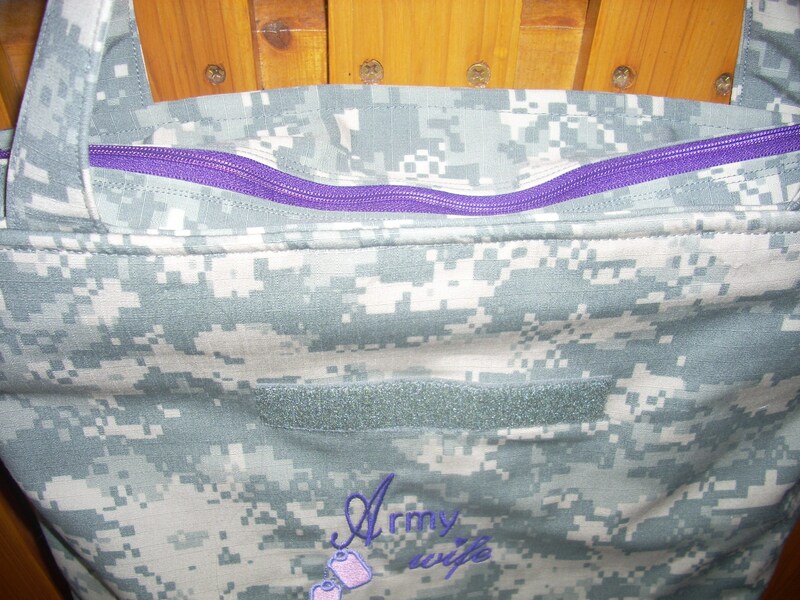 Magnetic snap or zipper to close. Handles are interfaced (strong, firm handles)and are 24" long, unless you request different length or 1 single adjustable strap. 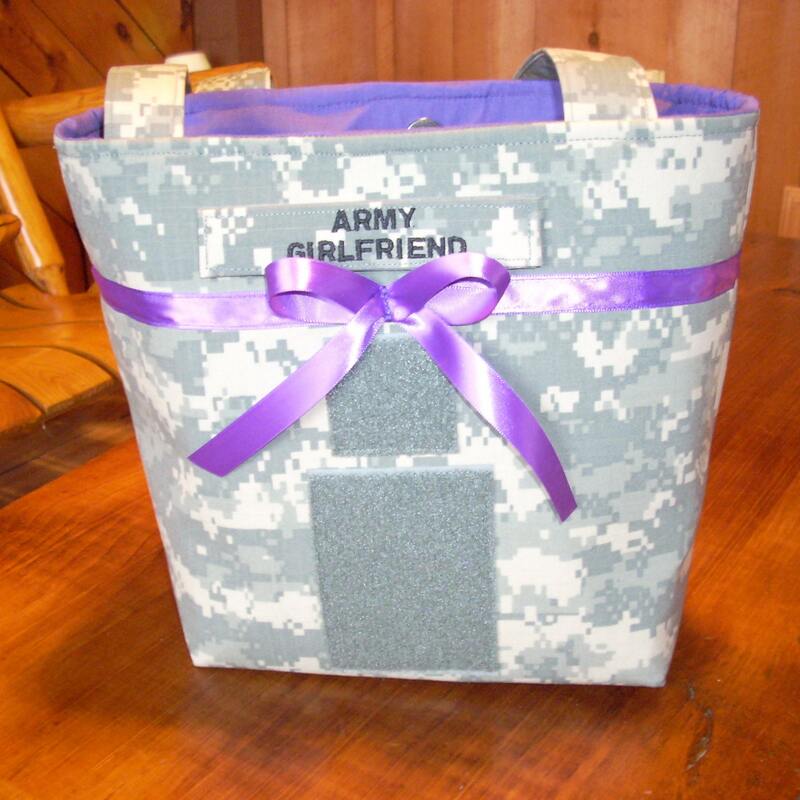 Can say Army Mom, Army sister, Army gramma, Army Brat, Army daughter, or any words. 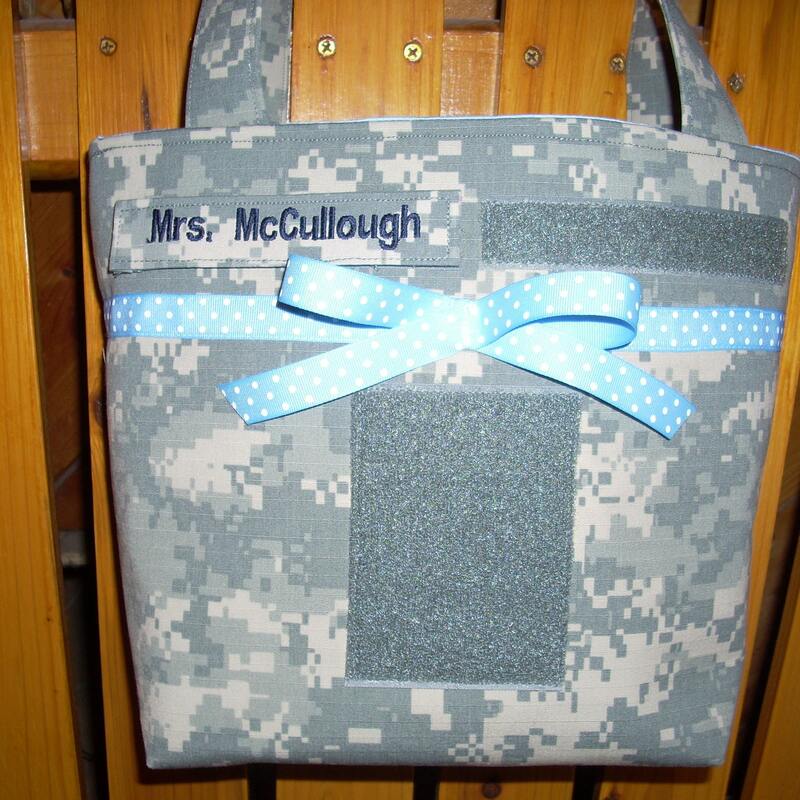 You can have just a strip of velcro for you to place your own tag on, if you wish instead of my embroidered tag. Your choice of Velcro on front, a pocket, or nothing at all. YOUR choice, just let me know how you want it to look. 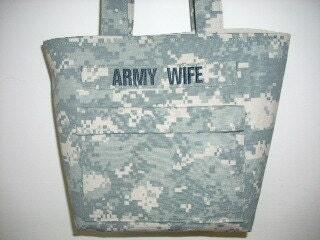 These bags are made to order. Just tell me what you want! Tag will be black thread, unless you request a different color, all colors available. Also, available in multicam, OCP, ABU, all Marine fabrics, Navy digital, BDU.